(i) It prevents the loss of water from cement paste which affects the strength of concrete slab. (ii) It enhances the movement of concrete slab relative to sub-base layer and reduces the frictional forces developed at their interface. (iii) It avoids the possibility of active aggressive agents from soil water being attached to the concrete slab. 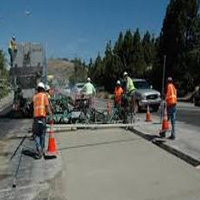 (iv) It prevents the intermixing of freshly placed concrete with loose materials on the surface of sub-base.